VegasCasino.io can be defined as a one top shop available for the people who are interested in engaging with Bitcoin gambling. This website not just provides casino games for the players. It can also be defined as a live games domain and live casino. This online gambling platform accepts Bitcoins, which can allow the players to ensure their privacy. VegasCasino.io offers a variety of games for the players, which include traditional casino table games, roulette, video slots, blackjack games, jackpot slots, lottery games, keno, online scratch cards and video poker. As you can see, this online casino has covered many different avenues and it offers an excellent user experience. In other words, players who sign up with VegasCasino.io will be provided with anything they wish to play. 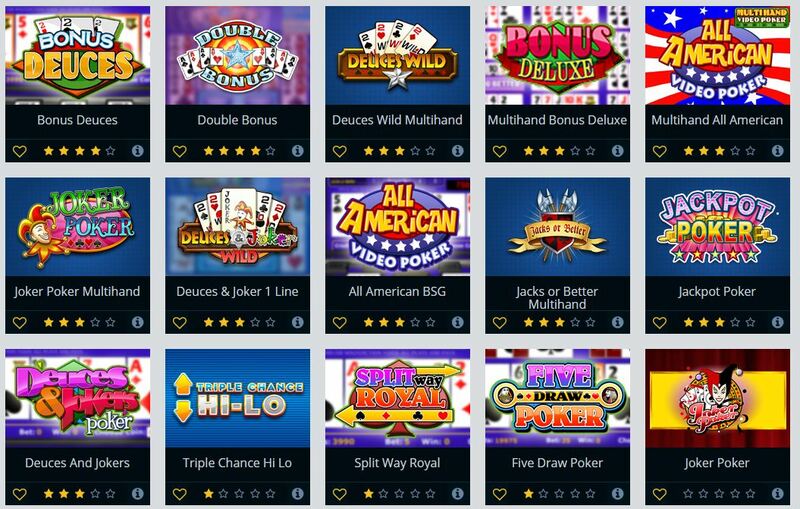 Most of the games offered through VegasCasino.io are associated with 3D slot machines, which offer an enhanced user experience. It is also possible for find live dealer games on the website as well. This can be considered as the best place available for people who are looking for a touch of realism. At the moment, VegasCasino.io offers more than 500 different games for its players. It would increase in the future as they are planning to introduce a lot new games in the upcoming months. Out of the games available at VegasCasino.io, Bitcoin Slots is the most popular. It covers a variety of games, which are provided through the online casino platform. Players who are interested in playing slots will be able to find an exciting collection of slots, which include old school style reel slots, progressive jackpot slots, high and low limit slots etc. It is possible to find about 20 games in the Blackjack category. They include some of the most popular Blackjack games such as single deck blackjack, double draw blackjack, European blackjack multi hand and double exposure blackjack. The jackspot slots category has about 22 games, which consist of Bad Girl, Good Girl and Fruit Bonanza. Out of the 200+ games that can be found in video slots category, sugar pop, five star luxury, money farm and legend of Satoshi has received much attention. It is also possible to find a dozen of games in the roulette category, which include zoom roulette, French roulette, European roulette, euro roulette and common draw roulette. Apart from the impressive collection of games that are provided through VegasCasino.io, a live dealer feature is also provided, which can be used to wager on Roulette and Blackjack. The players would get the opportunity to see how games are being played right in front of their eyes. All the games that are offered through VegasCasino.io come along with pleasant graphics. All the required information such as payout tables and instructions are also provided to the players. When it comes to gaming perspectives, VegasCasino.io offers a large number of slots. However, it offers a good selection of many other games as well. VegasCasino.io offers impressive bonuses to players in all levels as a welcome to the Bitcoin gambling community. More bonuses can be obtained by increasing the frequency of play. Each deposit in VegasCasino.io would be provided with a 25% bonus. However, the first deposit of a player is matched 100% until 1 Bitcoin. Likewise, the second deposit would receive a 50% deposit with maximum up to 1 Bitcoin. The subsequent deposits after that would receive the 25% bonus. VegasCasino.io is also looking forward to launch a loyalty program, which would be available within the next few months. As mentioned earlier, VegasCasino.io supports deposits and withdrawals in the form of Bitcoins. 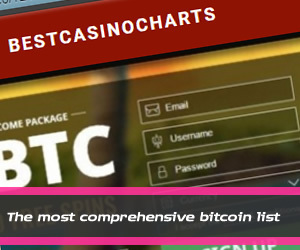 Like most of the online gambling platforms that support Bitcoins, VegasCasino.io also offers reliable, fast and anonymous deposit options for the players. Players will not be able to deposit money in this website through any other currency, except Bitcoins. VegasCasino.io has also received an excellent reputation for its super-fast withdrawals. As a result, players will not have to go through any hassle when withdrawing their money. Players can log into their accounts, click on the “Withdraw” button, enter the desired amount and get it withdrawn. VegasCasino.io offers an excellent customer support service as well. A live chat is available for the players and whenever they have a question, they can simply reach out to the live chat and ask for assistance. A helpful agent would provide prompt support for free. Or else, players can use the email option in order to get connected to the customer support team. However, it is not possible to get an instant reply from the email support team and it would take up to six hours. VegasCasino.io accepts players who are from United States. If live chat is contacted during working hours, players can expect an instant reply. VegasCasino.io is a mobile friendly platform, which allows the players to engage on the go. It only accepts Bitcoins, which ensures anonymity of the players. More than 200 games are offered from VegasCasino.io and there is something for everyone. An impressive deposit bonus is also offered for the players. .
Live chat is not available throughout 24 hours of the day. There is no provably fair system. VegasCasino.io is a relatively new player to the industry of Bitcoin gaming. However, it has been able to make a huge splash within a short period of time. The platform offers more than 200 different games for the players and they would never get bored with them. There is something for a player with any skill level of bankroll. Since the deposits and withdrawals are only offered in Bitcoins, the users don’t need to worry about their anonymity when engaging with gambling activities. Since this is a player to the online gambling industry, it has still got a handful of players. However, a lot of new players would sign up with VegasCasino.io in the future along with their new updates.